I visited the SouthYeasters Summerfestival at SAB Heritage Center Newlands on the 16 th of April. I did not have the blog up and running then so I write about it now instead. A Summer Festival in April is somewhat confusing yet really, really nice. The location could not be better. 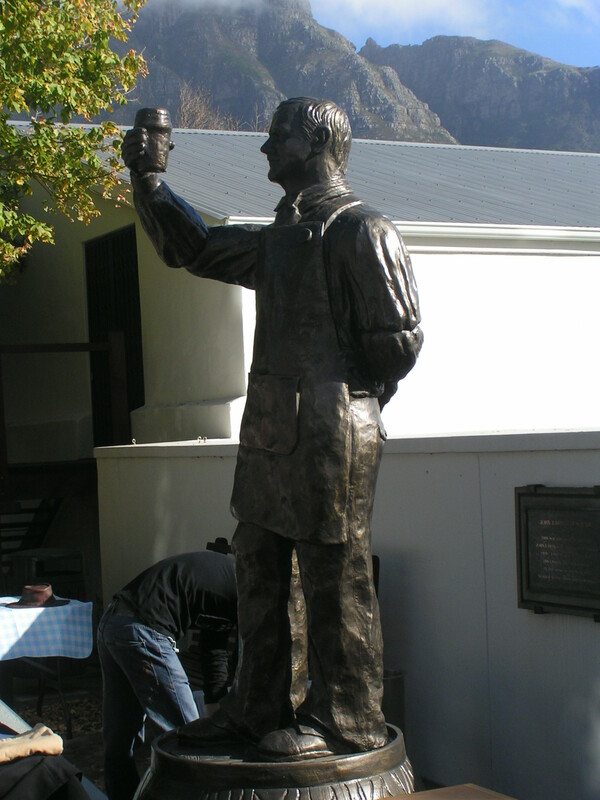 If you have not already been there I would recommend a visit to the Heritage Center in Newlands. You could walk around the old Mariendahl brewery building and look at a good collection of old brewing equipment. Maybe some more about that later on. Now, the Festival was really nice. The beers was a mix between all grain and kit brews. I got the impression that all-grain brewing is gaining in popularity in South Africa. The SouthYeasters are doing a good job promoting homebrewing with this festival. About 200 people visisted the festival but I think it could grow much more. It is a friendly atmosphere and you get a good chance to talk with other brewers. My personal favorite beers where Eric van Heerdens Red Ale, Ampie Krugers Rooi Jan Ale and the Belgian Wit and the Oat Stout from Analize and Mark Ter Morhuizen. The winner was Nick Birkbys Brown Ale. Well I do not always have the same taste as the majority. Recipes can be found at the SouthYeasters website. If you live in Western Cape and want to learn how to brew your own beer I suggest that you get in contact with SouthYeasters (http://www.southyeasters.co.za).